Over 15,600 nonfiction ebooks are available in our eBooks on EBSCOhost collection. Remote access is restricted to state employees or Thomas Edison members. Most may be downloaded to your computer, or ereaders compatible with Adobe Digital Editions. See instructions for downloading to: Apple devices and Android devices. Over 21,000 downloadable fiction and nonfiction eBooks are available for State Library authorized users (state employees and Thomas Edison members) at eLibraryNJ. See compatible device information and download instructions. A collection of over 100 reference books covering business, education, the environment, history, medicine, religion, science and social science. The titles can be searched individually or all at once. Search Gale Virtual Reference Library. Remote access is limited to authorized users. As a participating member of eLibraryNJ, State Library authorized users: state employees and TESU staff, students and mentors, may check out and download digital audiobooks from a collection of over 5,700 titles. All that’s needed for immediate access is your State Library borrower card. For information on getting started, take a look at the eLibraryNJ help page and view compatible device information and instructions. 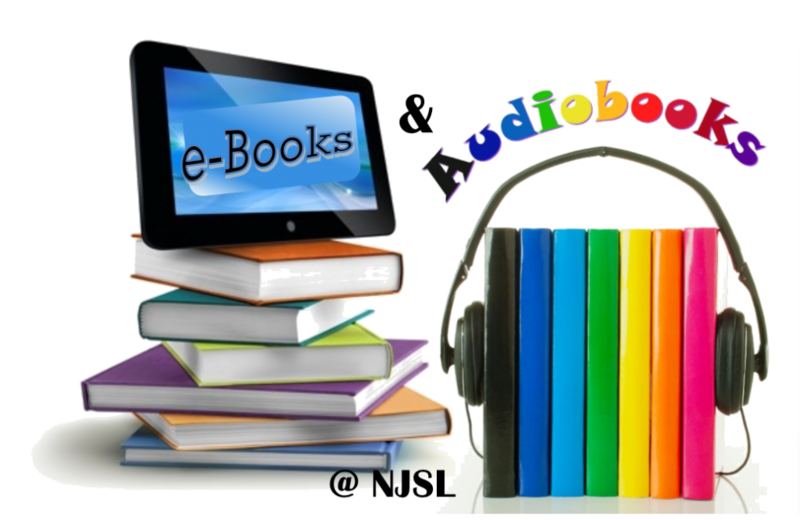 The State Library maintains a small collection of audiobooks in CD format that are available for loan to registered borrowers. View a list of titles available.